« Winners Of The ZAP 2012 Giveaway Announced (Along With The Zins Now On My Review List)! Thin Skins (I recently received a review copy) is a wildly-entertaining read, which I judge primarily be the number of Mattinson’s phrases that I wanted to steal and use on this blog (I lost count in the first fifty pages or so). Mattinson has a penchant for simultaneously being boorish, poignant, charming and hysterical all in the same sentence. Case in point: few male wine geeks could argue with his description of falling head-over-heels for wine (“my heart got an erection… it was like losing my innocence, and starting a war, at once”). While I don’t agree with all of Mattinson’s conclusions and premises about the most recent rise and fall of the Aussie wine biz (particularly his penchant for blaming the snobbery of influential wine personalities in other countries – the same sort of snobbery that makes the previously-mentioned Python skit so damn funny, I suppose – for keeping Aussie wine “in its place” globally), I just couldn’t put the book down. Mattinson has managed to weave a manic pastiche of a tale that somehow ends up being a page-turner for true wine geeks. He also knows his shiz (his take on some of Australia’s best producers feels right on the money, for example – enough so that I fond myself wanting to head out and buy the recommendations of his that I haven’t yet tried). And he’s 100% right. There are remarkable wines being made in Australia, and dismissing them flippantly because a few too many producers got bitten by the money bug and tried to make tarry, Parker-pleasing reds in chase of high-scoring fame and fortune, even if they didn’t have the fruit to do it properly – well, it’s just as stupid as saying that because DRC is located there in Burgundy then all Burgundy is sublimely good (it’s not, by the way). 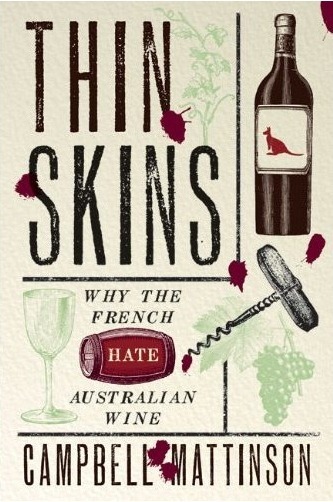 Thin Skins is worth a read, because it does for Australia what Evan Dawson’s Summer in a Glass does for the Finger Lakes, which is tell the story of that wine region in a deeply humanistic way; and when you’re done, you’ll feel as though you know – deeply, personally, glimpse-into-the-soul know – some of the characters that make that wine region what it is. Ok, Nagambie Lakes is certainly off the beaten path when it comes to most Americans’ experience with Aussie wine – but in this case, it’s a trip worth taking. Tahbilk’s Marsanne plantings were established in 1927, which puts it in the running for oldest Marsanne plantings worldwide. This beauty doesn’t see even a touch of oak, and the result is diamond-like clarity of Marsanne’s tropical peach and citrus fruits, along with a hint of Nut-N-Honey (remember that stuff?). For under $20, you’re getting something that will rock Asian-style fish and give you just enough of that familiar-yet-strange charm to keep things interesting, and the added bonus of a white wine that will very likely age well for a few years and develop more of the honey character that some people prize in Marsanne. All in all, it’s about as far from “dead” as a you can get. Yeah, yeah, I know – at $110, it ought to be really f*cking good. And it is really f*cking good. It’s actually not Henschke’s most expensive juice (that distinction goes to their Hill Of Grace Shiraz, which clocks in somewhere around $300 per bottle), but word on the street is that it’s nearly as good as that and for 1/3rd the coin. The vines are 90+ years old, ungrafted, dry-farmed and the fruit lives up to the vineyard’s name (which means “gemstone”) because their result, my friends, is a true gem. Yes, it has a ton of plummy fruit – would it really be Aussie Shiraz if it didn’t have that? – but it is not concentration (or syrup!) at the expense of finesse, complexity, or longevity. There’s a savory element here, along with anise, spices, and an opulent amount of dark chocolate – it’s like being served one of those 70% cocoa bars, but it’s given to you by angels in the fields of Elysium. And the finish is longer than a flight from JFK to Sydney. In other words, it’s a stellar achievement – balanced, gorgeous and yet true to the place and spirit of Australia. It’s also no the work of a terminally ill wine outfit. With wines like that, I’m not out to write off the Aussie wine biz quite yet, people. Here’s a closing thought: if the Aussie wine biz failed to ask themselves “what if things can’t go up from here?” and suffered as a result, what sort of questions should the Bordelais be asking themselves right about now? You raise an interesting point: of course it's not fair to condemn Australia for producing a lot of plonk, because everybody's doing it. But cheap Australian wine has achieved a level of success beyond the cheap stuff from a lot of other major wine producing countries, and perhaps the sheer prevalence of Yellow Tail and other creature labels has had the unintentional side effect of making these the first wines most people will associate with Australia – and sadly, in some cases, the last. 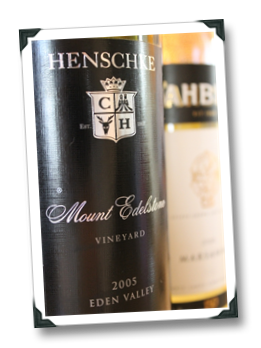 The Henschke Shiraz sounds awesome. But in my opinion they should change their label to your kung-fu guy. Being an Australian native myself, and finding some deep seeded need to defend my homeland when someone brazenly dismisses "most" Australian wine as not worth the glass it is contained in; I whole heartedly appreciate this particular post. I have visited a couple of the winegrowing regions of Australia, and can honestly say that I did not have a bad experience there. Yes, there was some underwhelming wine, but I am well aware I am not going to be singing "Waltzing Matilda" after every wine I taste, just like I will not be singing The Star Spangled Banner after every sip of wine from the USA. 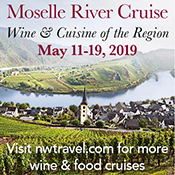 Most of the imports we receive here are not the crème of the crop, from many wine regions of the world; I believe this is lost on many people especially when referring to Australia. Thanks, Joel. A telling factoid is that Aussie wine volume is primarily a function of a very small amount of producers, BUT… the highest number of *brands* is held by a large number of very small producers. So dissing Australia over the volume of its cheaper brands is like saying all CA wine is crap because you don't like Barefoot's entry level offerings. To your point, it is not representative of the country's wine industry in terms of number of producers. Cheers! It's hard to knock Shiraz when I find that your average wine drinker still prefers this fruiter, more delicate and easy-drinking style of Syrah. Even with its high alcohol and jammy fruit…I've seen people dismiss purchasing an Italian red after a tasting, even though it worked better with the food, because they would rather sip on the Shiraz. Personally, I prefer a lighter red for sipping, but in winter Shiraz sure can warm you up! And in summer, its hard to beat with BBQ'd meats. Jim Barry and St. Hallett are two brands I often look to for price that's in line with quality. And in terms of sparkling Shiraz, now there's a wine that really has some possibilities with food. Thanks, QuitWINEing – hard to deny the Shiraz appeal, that's for sure. our problem in Australia is having reliable import partners that not only know our wines, and can sell them with confidence. The number of producers we know that remain unpaid for wines imported into USA, is staggering, and one reason Australia is going to tread carefully going forward with USA importers, is financial comfort, not on one order – but right the way through. You need to look at the strength of the AUSD, especially in 2009, to better understand some of the export problems that occurred in Aus. PAWINEGUY – Thin Skins does deal with that to some extent, actually. It is worth a read. Cheers! THanks, Mark – might be, that is the subtitle (though the French get relatively little consideration overall in the book in comparison with that title). Cheers! Top post, Joe. Seems like Mattinson's contribution is grabbing its fair share of attention – nothing like a savvy writer and a bit of humor to get your point across! Thanks for the support. Shae – thanks for the comment. I support wines that I think are top notch, and it doesn't matter a lick where they come from; well, it *does* matter, but their origin doesn't determine their quality, what's in the bottle does that. :) Cheers! FX is just one factor in the Aussie wine decline here, along with Yellow Tail proliferation. But for the high end wines the Parker influence and the attempt to Parkerize wines to get the ratings is the bigger culprit (read: greed.) 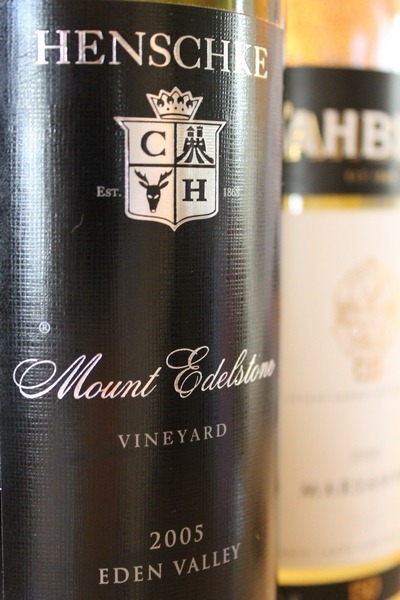 As a result, there was a backlash against the monolithic style of Shiraz (primarily from Barossa) which is really just one of so many different styles and not at all indicative of the breadth Australia is capable of producing. A couple of U.S. importers, in particular, overextending themselves amid an economic decline and going bankrupt, meant dumping of tons of high end wines on the market at rock bottom prices, contributing to the erroneous perception that these wines weren't worthy of the upper tier in the first place. 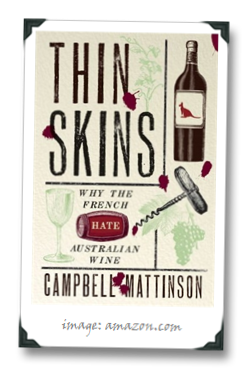 As you said (I haven't read Campbell's book) the current perception of Australian wine is a myth. In fact, the category is better than ever, with greater diversity, higher quality and competitive pricing. I'm hoping the tide will turn this year and it will once again be recognized for its contribution to the world of fine wine. Thanks, Deborah – here's hoping you're right about the renaissance!